According to Kojiki, when Izanagi was purifying himself by ablution after returning alive from the underworld, Amaterasu the sun goddess was born from his left eye, Tsukiyomi the moon god from his right eye, and Susa-no-O from his nose. Susa-no-O, who was supposed to govern the ocean, was rude; he desires to go to the underworld; before that, [however,] he visits Amaterasu in the heavens. To prove the innocence of his heart, Susa-no-O exchanges property with Amaterasu; each bears children, and [ultimately Susa-no-O] wins the pledge. Susa-no-O, proud of his win, violently throws a skinned horse into the hut where Amaterasu is weaving; Amaterasu retreats into the Heavenly Rock Cave. The gods put Amaterasu out of the cave by making chickens cackle, showing her a mirror and Ame-no-Uzume doing a naked dance. The motif [found in] this Amaterasu and Susa-no-O myth of giants or gods giving birth to the sun and moon from their eyes is spread from China through to South East Asia and Polynesia; furthermore, the notion of the trio of the sun, moon and sea, and the ruling of three domains is seen in Micronesia and Polynesia. In Japan, it seems that these were Ama legends. However, the motif of giving birth from not just the eyes but also from the nose is [found] in Mongolia, probably the influence of the Altaic nomads. Tales of pledges also seem to be related to Mongolian myths, in which the sea god visits and exchanges gifts with the sky god. Furthermore, the motif [found] in the Heavenly Rock Cave myth of throwing a skinned horse into a weaving hut is probably from the Altaic nomad culture. However, the essential parts of the Heavenly Rock Cave myth - the motif of enticing out the hidden sun god by the showing of things or making chickens to cackle; and the motif of the sun/moon as a former human being who has a younger brother/sister that turns into an ominous star or monster that causes eclipses - are spread across the South East Asian continent. They are thought to be originally myths from the Mon-Khmer (South Asian) language group. Thus, the Amaterasu myth is also composed of typically South East Asian elements. 1. On Tuesday afternoon, F5 and F6 students in the International Stream attended an introductory lecture given by a representative from Washington University in the United States. This was a good opportunity for the International Stream students to learn more about studying overseas. 2. On Thursday morning, we were visited by the F3 students from our Jiangmen campus. The administration from both campuses gave the students an overview of studying in senior high school and progressing to university. Our school ambassadors did a wonderful job of showing their peers around the campus. 3. Our extra tuition classes began this week. Tutorial times are 5:30 to 6:30pm Tuesdays and Thursdays for Mathematics and English. We have had some interest from other parents wishing their child to attend the extra tuition; students wishing to do so should submit a written application to the school office. New students will be integrated into the appropriate tutorials according to their needs. 4. Next week we will begin online enrolments for senior high students for the coming school year. We are sending out the Notice to Parents of Zhongkao Students and the Zhongshan Junior High School Students’ Graduation Examination Registration Form separately; please check you have received your copy. 5. Student medical invoices for the month of February will be sent out with this notice. Experience Years of translation experience: 12. Registered at ProZ.com: Aug 2005. Became a member: Jun 2010. CV/Resume Visit http://www.easternlinguistics.com/projects.shtml for a summary of projects I have been involved in. Professional practices Andrew Weston endorses ProZ.com's Professional Guidelines (v1.1). 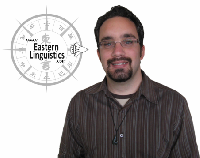 Eastern Linguistics is a translation business specialising in Japanese, Chinese and English, based in Christchurch, New Zealand. Andrew graduated from the University of Canterbury, Christchurch, New Zealand in 2005 with a Bachelor of Arts majoring in Chinese and Japanese. He went on to postgraduate study and graduated with First Class Honours degrees in both languages in 2007. After graduating, Andrew worked in China for a year and a half, expanding his cultural experience and communication skills. He has also travelled to Japan. Andrew's translation experience extends back into his university days; he has been accepting projects since 2006. He established Eastern Linguistics in 2009, and is now devoted to translation full time.